Please note: this film is only available in German and French! Franz-Josef Kögel used to practice high-performance sports. However, it was not him, but his cattle that had to perform under the immense daily pressure of satisfying their farmer’s insatiable desire for a greater milk yield. His cows could not live up to the strain and fell ill. Franz had to experience what many dairy farmers have not yet come to realize: that in the end, high performance will not pay off, not for the animals and not for the people. As a result, he returned to traditional values: appropriate husbandry, a feed consisting solely of grass and hay, weather permitting, he would bring his cattle to the pastures every day and on top of that, he decided to let his cows keep their horns; their personality. In return, the cows give natural milk and prove to be in good health. He honestly stands up to all his mistakes of the past and provokes, by declaring, “let me be a farmer, in the past I have been a destroyer”. 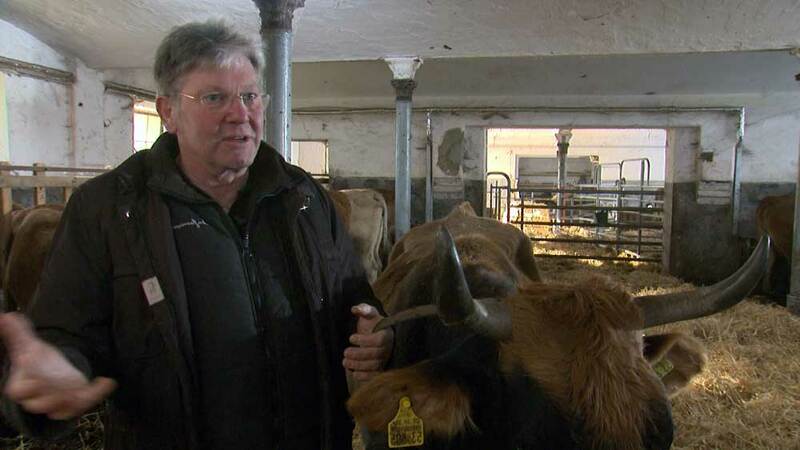 Susanne and Walter Schwärzler take a stand for preserving the integrity of cows. 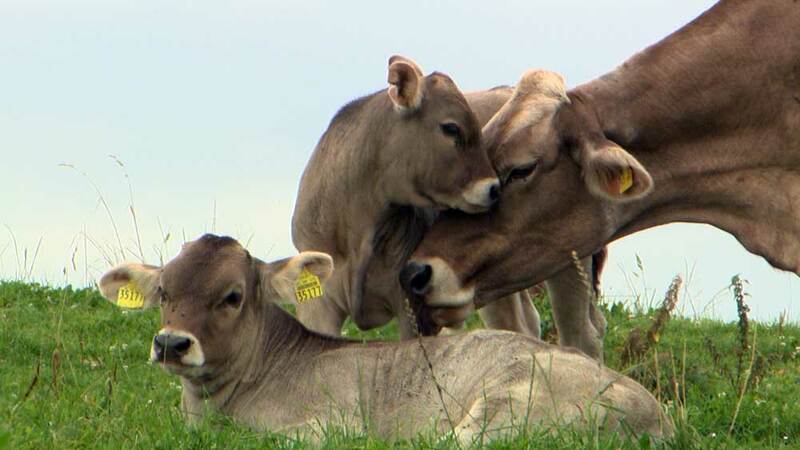 To them, cattle without horns are an unthinkable atrocity. The horn belongs to the cow just like its udder. After all, nothing in an animal exists without a purpose, and so they fight against the amputation of horns. Josef Notz is a passionate farmer. 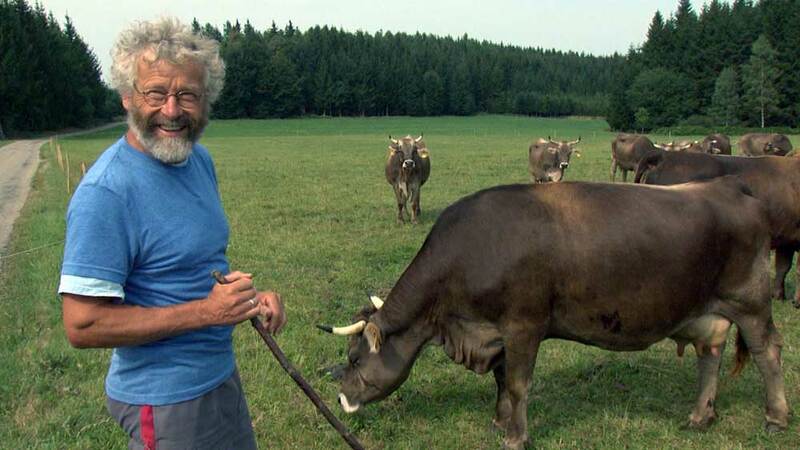 His original Allgäu cattle herd is not only horned, but also takes pleasure in a particularly long life. The animals are not judged according to short intervals of top performance; what counts is the milk yield spanning their entire life. Notz demands a change of thinking, by which the cow’s lifetime achievement is recognized and the absurdity of high-performance breeding is realized.